There's actually not a lot to say about this encounter except that it was ABSOLUTELY AMAZING!!! Liberty London managed to get the ultimate shoe God to come over for one night to unveil his latest collection and meet VIP customers as well as fans like me. 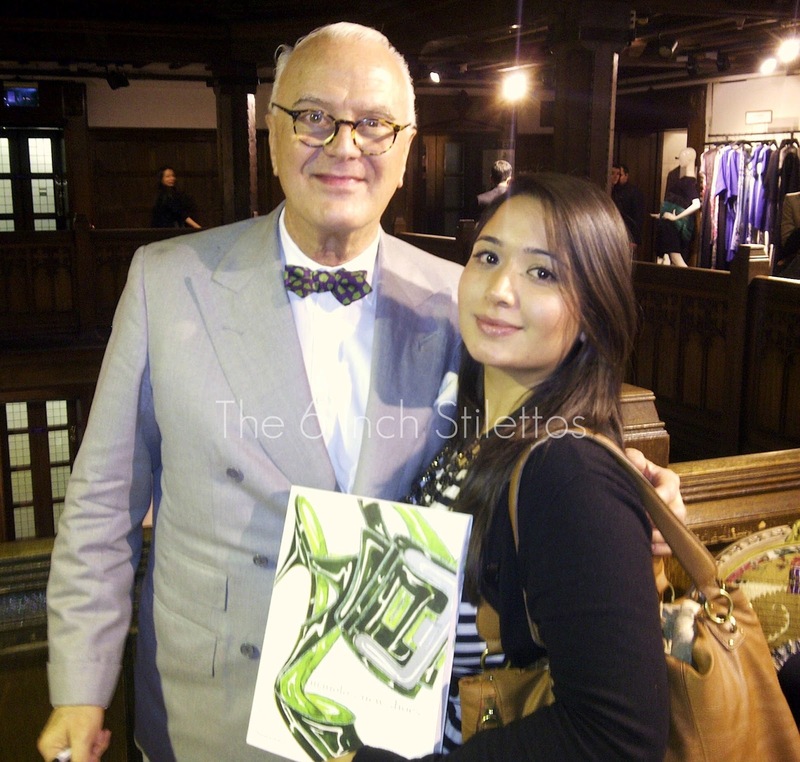 I was invited to meet Manolo Blahnik during the VIP customer session and while ladies with bags of money treated themselves to pairs of shoes and got them signed, I picked up a book and got the signed instead. I would have loved to have gotten a pair of shoes but I'm pretty sure my budget doesn't stretch that far, as yet. It was a pretty special evening and had me smiling from ear to ear because, well, it's not every day when you get to meet Manolo Blahnik! Now that I've met all three Shoe Gods... Who shall I put on my hitlist next??? Wow, amazing! You are so lucky, great photo too. wow! u have been so lucky!!! !